Search.queryrouter.com is a browser hijacker that can take over your browser without your knowledge. It can install onto your computer if you do not pay enough attention to how you install free software. Users are not attentive enough and developers take advantage of that. If Search.queryrouter.com is, indeed, on your computer, you will find that your browser’s settings have been changed without your knowledge and you cannot restore them. Search.queryrouter.com is not malicious and will not do much beyond changing your browser’s settings but it might be able to expose you to dangerous content. Browser hijackers aim to generate traffic and they do that by redirecting you to sponsored websites. If you were to be redirected to the wrong web page, you could end up with malware on your computer. It is strongly suggested that you remove Search.queryrouter.com. Why should you uninstall Search.queryrouter.com? Just like any other browser hijacker, Search.queryrouter.com spreads via software bundles. It’s attached to free software as an optional item, one you can choose to install. That choice is taken away from you if you pick Default mode when installing freeware. Those settings do not show you any added items and if there is something, it will install automatically. This is why it’s important that you pay attention to how you install freeware. What you need to do to avoid unwanted installations is choose Advanced or Custom settings. In them, you will be able to view all added items and if there is something you do not want, just uncheck the box. By unchecking these potentially unwanted items, you are saving time because you will not need to delete Search.queryrouter.com or similar later on. Search.queryrouter.com will make unnecessary changes to your browser. Your homepage and new tabs will be changed to Search.queryrouter.com and undoing these changes might be impossible without first having to remove Search.queryrouter.com. The provided search bar redirects users to Google so there’s little use in using this hijacker because you can just use Google. Search.queryrouter.com might make advertisements so that it could generate traffic for sponsored websites. We suggest you stay away from everything that has anything to do with Search.queryrouter.com because while it’s not malicious itself, it could bring about trouble. Malware is not something you want to take lightly because it can do serious damage. Therefore, do not put your computer in danger, and delete Search.queryrouter.com. If a reliable removal tool is present on your computer, you can use that to uninstall Search.queryrouter.com. 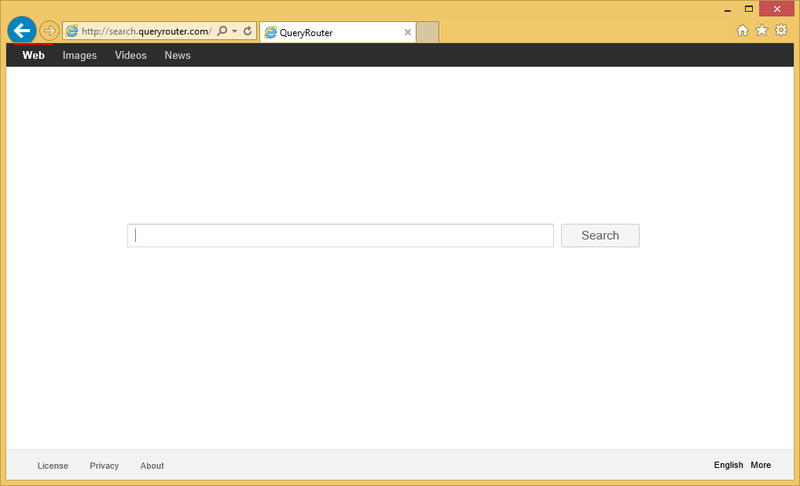 If you do not have it, and are not planning on obtaining it, you can also erase Search.queryrouter.com by hand. However, manual Search.queryrouter.com removal takes more time as you will have to locate this hijacker yourself.